Look under the lid of the international truck transport company, Can-Canová Spedition s.r.o. and read more information about our services and the people who you can meet here. 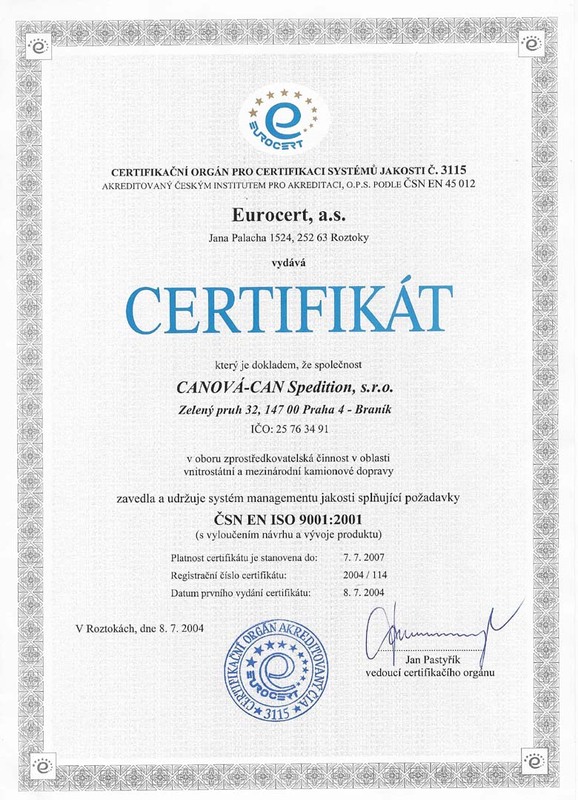 Our company has introduced a system fulfilling quality management requirements and is the bearer if the ČSN EN ISO 9001:2001 quality certificate in the branch of mediation activities in the area of national and international truck transport from 2004. Long-term cooperation based on knowledge of the client, his needs and mutual trust. Individual and serious approach to customers. Excellent knowledge of the regions of Turkey and neighbouring regions, including local representation. Professionalism and responsibility of our employees.